There's a lot of ways to make money in GTA Online but I've found these 5 to be the most helpful in building a nice nest egg for future apartment and vehicle purchases. 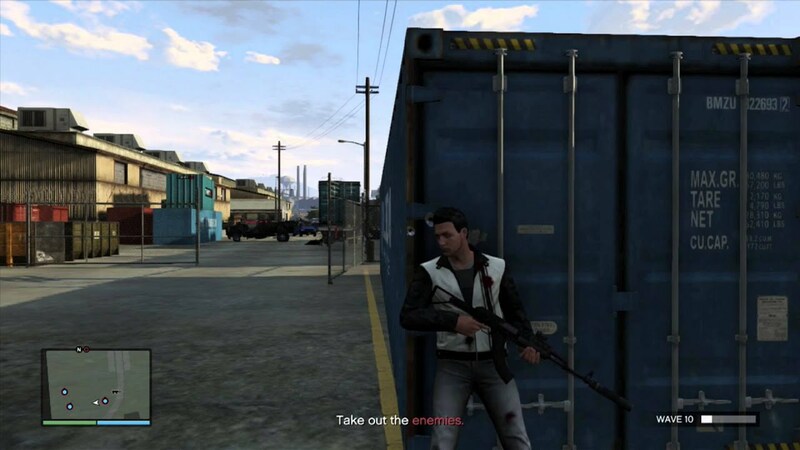 Stealing cars is arguably the first thing we think of with GTA. Every GTA game has players stealing cars all willy-nilly and GTA Online is no different. 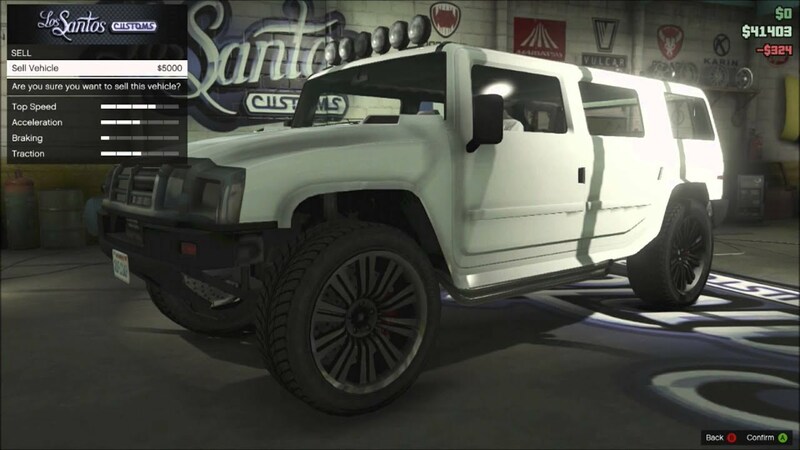 There are special cars to retrieve for Simeon (which can be a bit tricky as all players are made aware of them) that pay well, but you can also sell almost any stolen car to any Los Santos Customs shops. It's no "loot cave" as you can only sell one car per in-game day (48 minutes) but anytime you hop online it's good to make a habit of starting a session with stealing a car and selling it, as they pay 3-9k on average. Avoid high-end cars as they're not sellable and instead focus on SUVs and coupes, as they pay the most. I was always most fond of the contact missions, which are more like co-op story missions than anything else, but every job in GTA Online pays and pays well. Some jobs will even pay as high as $10,000 for just trying and failing a job. If you really want to make some money, you're best bet is spend a good amount of time just burning through jobs--and not just your favorites. You get bonus RP and cash for trying any job for the first time so mix it up, and try everything. While the game world itself is fluid and free of loading screens, and jumping from job to job can be almost as smooth, the painfully long load screens of GTA Online are most often found when switching from free-roam to jobs and vice versa. A great way to minimize all that thumb-twiddling is to get into a playlist. It can be tough to find a full playlist, but when you do, expect to burn through several jobs with large groups of players that like you, are planning to queue up into several jobs before taking a break. Just remember the next, and arguably most important tip, as you come out of long job runs. You should only have to make this mistake a few times, as the game will constantly remind you to visit an ATM when holding large amounts of cash on you. 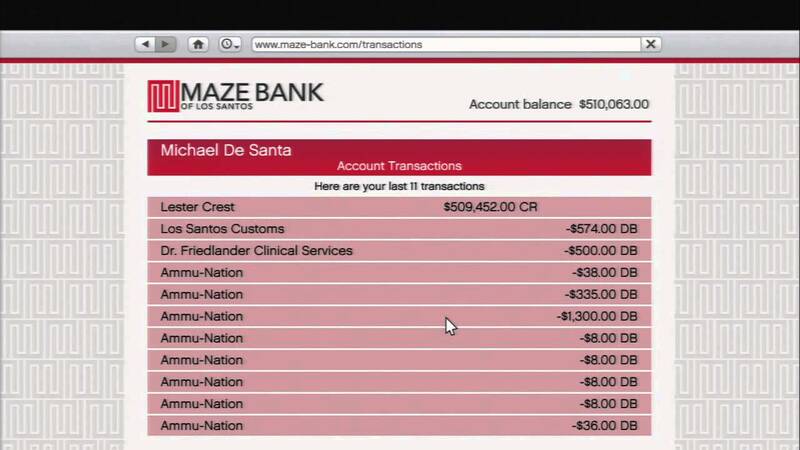 I've experimented with this quite bit, as Rockstar has never provided clear information on how much money you actually drop when killed by other players, but it seems to be $100 no matter how much you have. 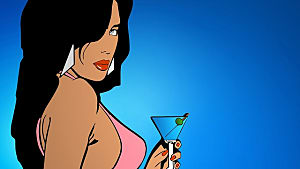 The bigger danger is that if another player uses the option of hiring a mugger to target you, you can lose up to $2000. While even that much is kind of small potatoes, why risk losing it? Everything you buy can be bought with money in your account and once the money is in there, it's yours and can't be taken without your permission for anything but hospital bills if you die. The real time saver is realizing that instead of finding ATMs depositing the old fashioned way, you can just open your phone's web browser, visit the Maze Bank website and deposit everything on hand from there in a fraction of the time it would take to get to an ATM. Survival jobs are opened up at rank 15 and are one of the best (and easiest jobs) to build funds, but they serve another great purpose. Not only can relatively skilled players finish out a survival in roughly ten minutes for an average of $20,000 per match, but there is no matter way to familiarize yourself with the NPC AI. 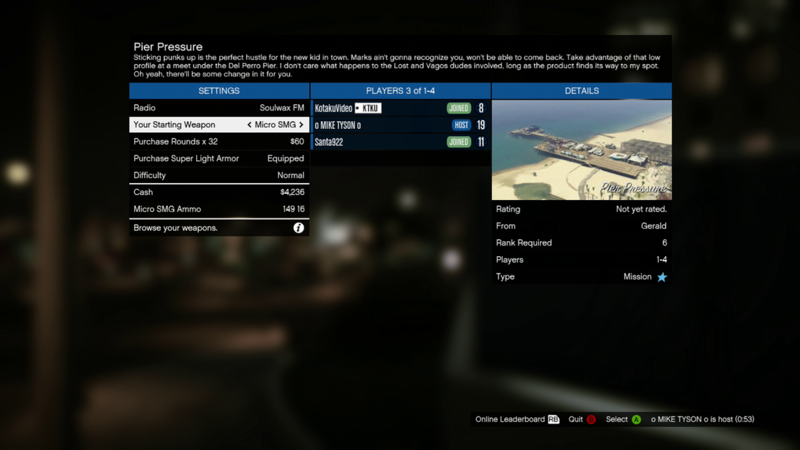 While PVP is still a huge part of GTA Online killing AI-driven NPCs in the forms of cops and other criminals are going to expend the majority of your bullets, and you should get familiar with their tactics and how to counter them. You can only fail so many survival matches before realizing how important the combat roll, finding sneaky hiding places, and having a keen eye for enemy presence can all be. 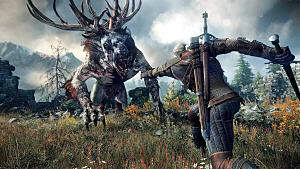 In addition to great combat practice, there are power ups to reload ammo and if you're low, you can effectively stock up a good amount of ammo while playing these. You heard me; combat training, extra ammo and an average of 20,000 per ten minutes. Enough of these and you're well on your way to having a high end apartment, and being a force to be reckoned with. This is easily the most difficult and risky of the options, but worth mentioning for the mere fact that if you get really good it, it's a great combination of fun and profitable. If your combat and pvp chops are strong enough, you'll be able to collect bounties on red players on the map. It can be tricky and you of course endanger yourself as well, but it pays. Whether you hunt down every bounty you see or just wait until you see high-paying bounties pop up on your screen, it can be an excellent way to make money. A friend of mine spends almost all of his time online flying around in an attack helicopter killing every single bounty target he finds. It's a strategy that requires some confidence in pvp but if you have it, it's a great source of income--and entertainment. 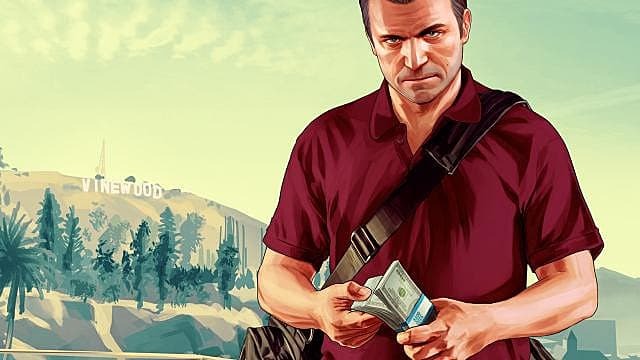 If you're really enjoying your time in GTA Online and it's a world you plan to spend a lot of time in, you can always take the microtransaction route and spend real money on some GTA money. There's plenty to do in the game to make money just by playing it, but if you want to get a head start or a quick boost to buy an apartment or car with, putting some real money in can be worth it.